Industrial Service Supply, Inc. (ISSI Valve), which is located in Southeast Texas, is a Veteran owned and operated control valve repair and instrumentation repair facility. Founded in 1981, ISSI has continued to provide excellent service to the petrochemical, paper & pulp, plastics industry and many many more. We specialize in control valve & actuator repairs, remanufactured valves, remanufactured actuators, butterfly valves, ball valves, remanufactured instruments, engineered valve modifications, specialty valve repacks, new surplus valves, specialty valve coatings and have complete machining capabilities. We are a top tier provider of Fisher™ Valves, Bettis™ Actuators, Neles Jamesbury™ valves and many other brands you know and trust. 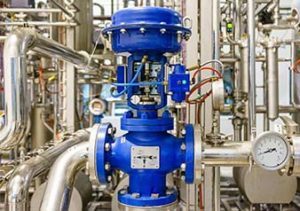 Our repair facility provides complete repair and reconditioning services for all types of control valves. We completely test every valve we service and then disassemble the control valves as necessary to perform machining, replace parts, calibrate and then retest. No valves leave our facility without being brought back to “like new” condition.